Take the case of Galileo Galilei (1564-1642), who had discovered that though everybody thought that Sun must be revolving around the earth, it was not so. It is the other way around. It is the earth that revolves around the Sun. Though it is true that “rising of the sun” and the “going down thereof” referred to in the Psalms 50:1 refer to the “morning time” and the “evening time” only, would you deny that if such discovery about the earth would not have been considered to have been “sacrilegious” by the Pope, he would not have been put by him on trial for publishing a book in 1632, in which he stated that the Earth moved around the Sun, by the Inquisition in Rome where he was found suspect of heresy and was forced to say that all of his findings were wrong? He was not only asked to say that all of his findings were wrong, but he was also first imprisoned and, later, confined to his house near Florence. We really feel sorry that during the last ten years of his life, the Church should have monitored his travel and communications with others, and his writings should have been censored and placed in the Index of Prohibited Books. It is so tragic that all of us are fully prepared to forget that Galileo remained under house arrest, despite many medical problems and a deteriorating state of health, until his death in 1642 and the Church had not accepted that Galileo could have been right till 1983. Did it not pass on a message across the entire scientific community that the Church wanted it to disengage itself from discovering anything that contravened the Bible? Though the Pope may have been under a wrong impression that it should have been sacrilegious, a question arises – if it was not sacrilegious, should an astrologer of his calibre have been ill-treated by the Church in such a callous manner? And if Pope was right – should he not have also declared that it was also false to believe that Jesus should have been the “Son of the God”, as is so clearly mentioned in the Bible in the following words? “For God did not send his Son into the world to condemn the world, but to save the world through him. Whoever believes in him is not condemned but whoever does not believe stands condemned already because he has not believed in the name of God’s one and the only Son.” – John 3:17-19. If he should have been the Son of God, as the Bible purports to ingrain in our mind don’t you think he should have also thought of enlightening the world how his father should have created the Universe? 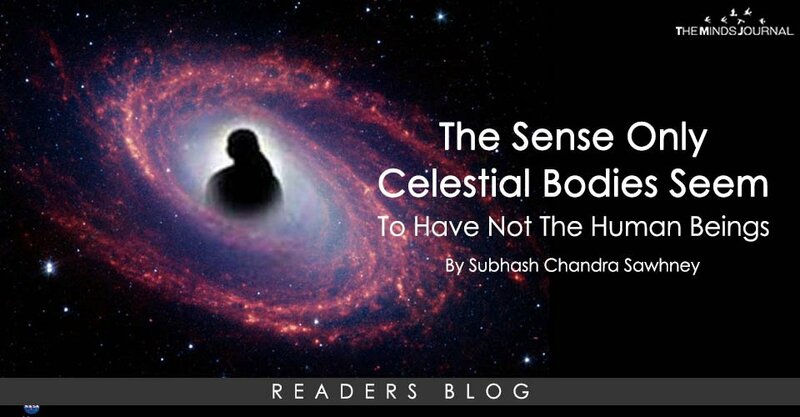 Most probably even Krishna, who claimed that he should have been an incarnation of God by the Hindus, should have known how so many galaxies should have come into existence.